In spring the blooms of the Jacaranda tree infuse the landscape with a distinct shade of purple. Jacaranda trees have been planted in both Queensland and New South Wales cities and towns to add colour and shade to public spaces and private gardens. The flowering cycle of the tree is dependent on the weather conditions, early rain can result in early flowering. Towards the end of winter the small fernlike leaves of the Jacaranda turn yellow and fall off. The branches remain bare until sometime between September and November, when the entire tree blooms in magnificent purple flowers. The flowers last a short while on the tree before dropping to the ground where they form an incandescent purple carpet. However, if it rains, as is likely at this time of year, the fallen blooms quickly break down turning slimy and brown. By December the tree is fully leaved, providing shade during the hottest part of the year. The Brisbane Botanic Garden, established in 1855, received mature plants, seedlings and seeds from around the world and used these, along with those collected from other parts of Australia, to test what could be cultivated in Queensland. 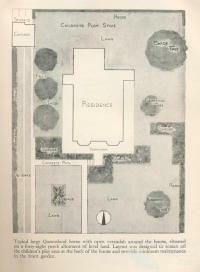 Director of the Garden, Walter Hill (1820-1904) had to provide an annual report to the Queensland Legislative Council on the success and failures of plantings. In 1870 he reported on the planting of several types of large shrubs and trees, including Jacaranda Mimosifolia which he had planted ‘on either side of the gravel path leading from the George St Entrance to the interacting gravel walk’. Of the trees planted there Hill wrote, ‘All these are very beautiful when in blossom, and some already wear their honours, and all give goodly promise for the future’. Several years later Jacaranda Caroba was received from William Bull, a nurseryman in London, who had shipped a number of ornamental plants to the garden, including this particular species of Jacaranda. Jacaranda trees and seeds were soon available for distribution to other branch botanic gardens at Rockhampton, Maryborough and Toowoomba. Ornamental plants were increasingly appreciated during this early period. 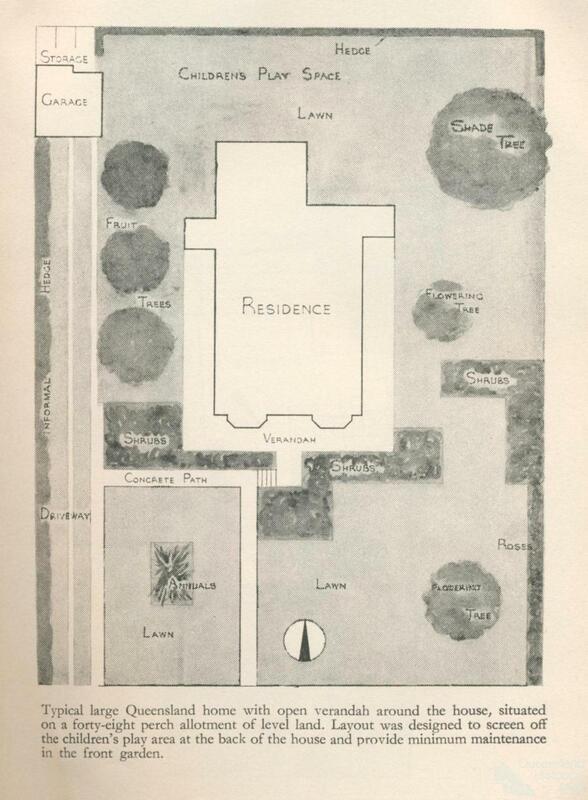 Walter Hill declared that ‘it is pleasing to note the desire by the officials in various parts of the colony to ornament the grounds’. 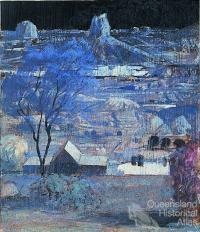 A weakness of the Jacaranda tree became apparent following the 1893 Brisbane floods. 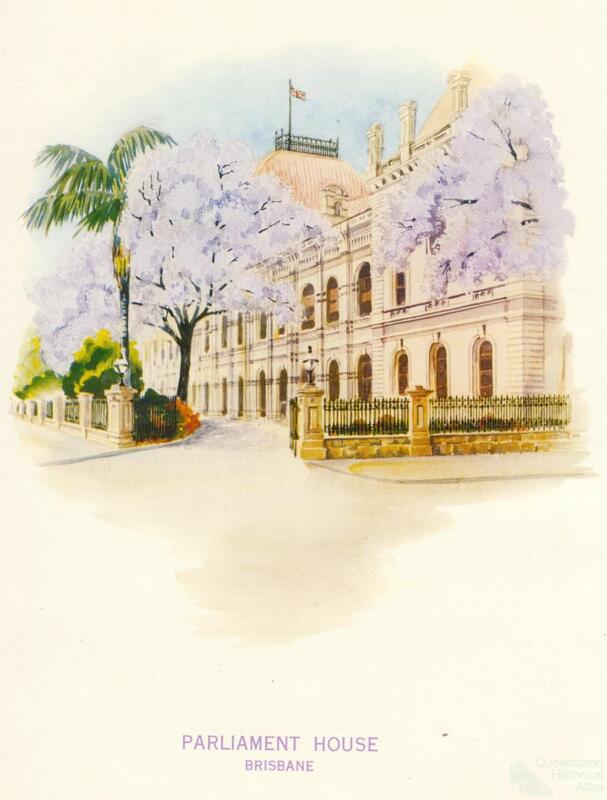 The Brisbane Botanic Garden curator at the time, Phillip McMahon, included a note on the mature Jacaranda trees in his annual report following the flood, ‘this beautiful tree does not seem to stand floods well. Several specimens perished even those which were not deeply immersed’. There are thirty species in the Jacaranda genus but the most widespread in Queensland is Jacaranda Mimosifolia. Somewhat unusually, in Australia the Jacaranda is generally known by its botanical name. In other parts of the world it has other names such as Brazilian Rose Wood, Fern Tree and Black Poui. Jacaranda trees are natives of South America but grow in many warm parts of Australia. 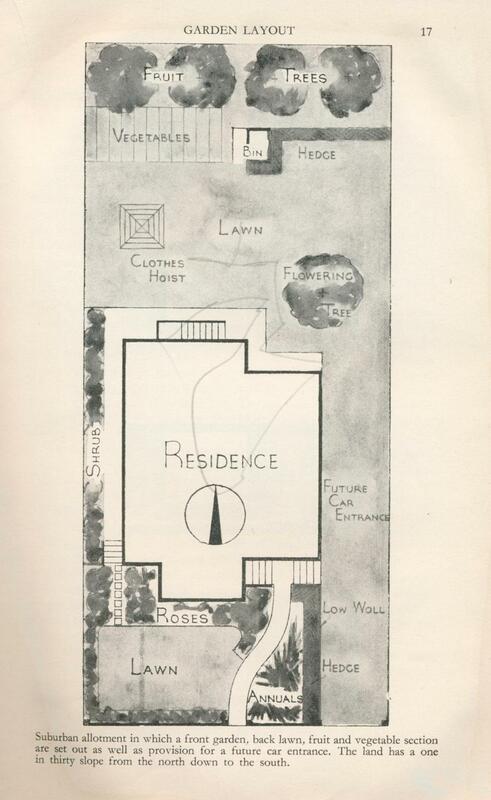 As the population of Brisbane grew there was increasing emphasis on the beautification of public landscapes and the burgeoning consideration of planned recreational spaces. One of the most revered plantings is located within New Farm Park, Brisbane. Brisbane City Council purchased this park in 1914 and under the guidance of Brisbane Parks Superintendent Henry Moore, one hundred Jacaranda trees were planted along the Ring Road. A stroll through the flowering Jacarandas has been a popular pastime for visitors and locals since the trees matured. 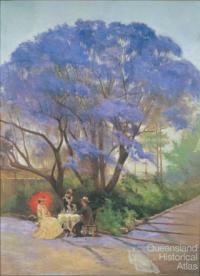 Harry Oakman is also credited with the proliferation of Jacaranda trees in Brisbane parks and public spaces. Oakman was responsible for the creation and rejuvenation of hundreds of parks in Brisbane during his time as Parks Superintendent of the BCC Parks Department from 1946 to 1963. During this period many public spaces were planted with brightly coloured subtropical trees. Although Oakman left Brisbane in the 1960s to become Canberra’s first Chief Landscape Architect, Jacarandas continued to be used by Brisbane City Council to liven up streetscapes in the 1970s. 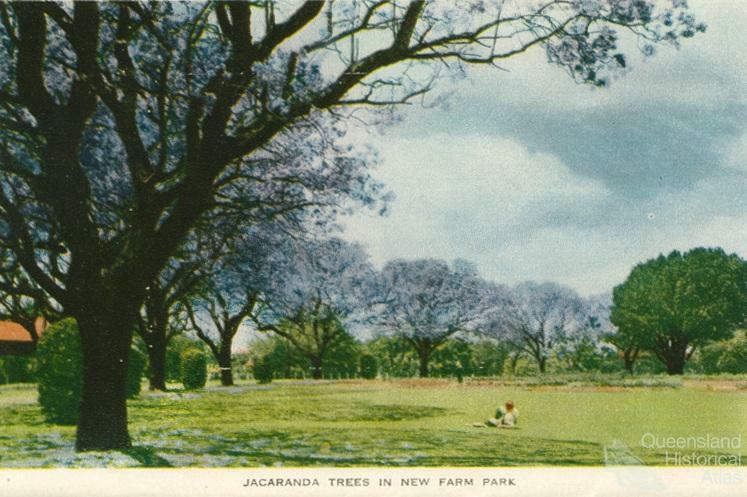 Jacaranda trees were offered free to residents as part of a street tree planting scheme, albeit with some conditions. A range of ornamental trees and shrubs were offered as part of this beautification process but only blocks with wide reserves were deemed suitable for Jacaranda trees. In return residents agreed to plant and care for the council supplied trees. The Brisbane publishing house Jacaranda Press was established in 1954 and run by publisher and environmentalist Brian Clouston from printers H. Pol and Co premises at 73 Elizabeth Street, Brisbane. Jacaranda Press specialised in material about Queensland and the natural environment. It published many influential Queensland texts including Harry Oakman, Gardening in Queensland (1960) and Clem Lack, Daughter of the Sun (1959). Clouston was a founding member of the Wildlife Preservation Society of Queensland with poet Judith Wright, artist and author Kathleen McArthur and naturalist David Fleay in 1962. Jacaranda Press was bought out in 1976 by John Wiley who renamed it Jacaranda Wiley. Jacaranda trees have provided inspiration for festivals, paintings, poetry, plays, stories, art and folklore. While the longest running Australian festival centred on the Jacaranda has been held in Grafton, New South Wales, since 1935, Goodna near Ipswich also hosts a three day festival. The Goodna Jacaranda Festival is held at the end of October and features market stalls, a fun run, side show alley and performances from local schools and other acts. 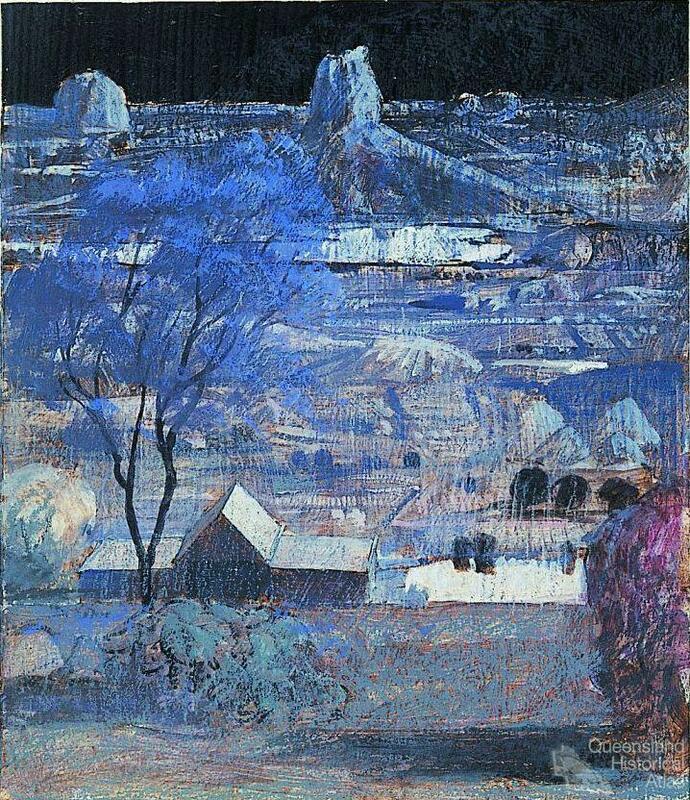 The Jacaranda has also inspired artists. Under the Jacaranda painted by R. Godfrey Rivers was purchased in 1903 by the Queensland Art Gallery and is thought to portray the first Jacaranda grown in Australia. The tree featured in the painting was planted by Walter Hill at the Botanic Gardens in 1864. In the painting the artist and his future wife, Selina Bell, are taking refreshments under the tree which is in full bloom. The flowering season of Jacaranda has real and imaged meaning for students at the last year of high school and at university. The blooms signal the imminent exam season and some teachers warn that those who have not started studying by the time the trees start flowering cannot expect to do well in their exams. Since their introduction to Queensland, Jacaranda trees have spread to many parts of the state. When in bloom the trees provide an injection of purple into the landscape. The purple flowers of the Jacaranda tree have stimulated imaginations, leading to the development of folklore, art and festival celebrations.